1 How to Fill a Paintball Pod Correctly? 1.1 What are Paintball Pods? 2 Conclusion: How to Fill a Paintball Pod Correctly? How to fill a paintball pod? Who needs to learn that? Just put the paintballs in and close the lid right? There is more to it than that. Read on to know the details. Paintballing is a task that many people avoid undertaking and those who do it are cautious of splashes to their eyes, stains on their clothes and inhalation. For better and effective painting, paintball pods are preferred due to their safety in paint preparations and the fact that they reduce the needs for protective gears during the procedure. They are tubular in shape and transparent so that you are able to see the content inside. They are also fitted with lids strong enough to prevent any paintball from falling. They come in different brands depending on the manufacturer but they are cheap to acquire. Filling paint pods with paintballs requires a proper technique that one comes up with after critical thinking. Many people take easy and assume is just filling the pod whichever way but the ignorance might result in time wastage trying to repeat the procedure. 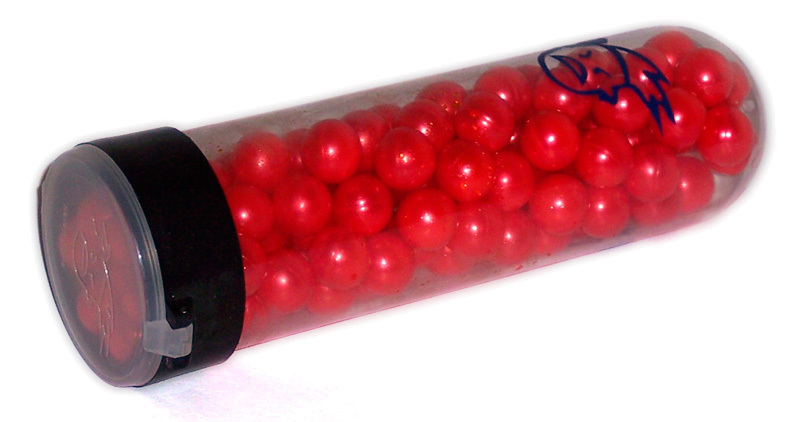 If the balls are not well stocked, the pods will produce unnecessary sounds due to movements of paintballs. Moreover, poor filling might cause the pod lid to pop open if it is a poor quality brand hence losing your paint. Nevertheless, if the filling is not tight enough, the paint will leave stains on the pod parts especially on the lid. Therefore, the following are the five easy steps that you can use to safely fill the pods. Step one is to get the number of paint pods that you need to fill, then get a packet of paintballs ready You might need a bigger paint container to be emptying the paintballs from the paint pod in order to avoid breaks during storage. Ensure the pod lids are intact and have no sign of breaking easily. They should be opening only after exerting some force with your right thumb finger when holding the pod on your hand.lf the lid is faulty it can pose a risk of paint splashing thus such a pod should not be used. Step two is to open the paintball packet which is normally a polyethylene material that is waterproof and opaque but it is not so weak to tear, you have to apply some force. A couple of people will tear vertically from top to bottom with bare fingers, others in a cross-sectional direction at the top from one edge to the other best-preferred way is to use scissors and cut from top edge in a diameter that fits estimate of paint pod diameter. If a pair of scissors is not available you can use your fingers as well and tear from near the top and make a hole that matches the size of paint pod diameter. Step three is to fill the paint pod. This is where many people get trouble and waste their time. It requires some level of critical thinking and hands-on skills. Someone may opt to fill by putting a single ball, one by one, others will lift the bag and try to fill the pod while it is open and placed on the surface. This method can be quite inconvenient and time wasting. Some paintballs might also fall and scatter all over, also the paint pod is narrow and tall thus it is not stable to allow filling it on a surface. Therefore, the correct way to fill the paint pod is to open the lid and pod into the paintball bag ensure the mouth of the pod is inside the bag through the opening you made before. Step four is to lift the two conjoined items at the level of your eyes while tightening the remaining space after the section of the pod is inside the bag to prevent paintballs from falling off from the bag to the ground. Invert such that the bag is at a higher level than the paint pod so that the paintballs will rush into the paint pod by gravity but also squeeze the bag so that the balls will be moving into the pod. Ensure the balls are not excessively full but a little space should remaining for manual filling of single after single paintball. Once you are satisfied, detach the two and place the bag on the surface and keep holding the filled paint pod. Step five is the tricky bit because you need to ensure when the pod is shaken, there is no noise from the paintballs which implies that they are not well fitted. Shake the paint pod while covering its mouth with your fingers so that the balls reposition themselves to give exact remaining space at the top. Pick one ball and fit at the top space and repeat the same till you are satisfied that the paint pod is well stacked and the space for closing with lid is not impaired. Close the lid and try to shake so that you feel if there is any noise. If there is any noise, open the lid and add few more paintballs and compress gently and close the lid and shake again.lf you followed the procedure correctly, there should be no noise since the balls have been well fitted. You can empty the pod into another bigger container and repeat the procedure. In conclusion, this procedure is easy once one practices severally thus becoming a perfect painter. Conclusion: How to Fill a Paintball Pod Correctly? Above five simple steps were supposed to give you an insight on how to go about filling the paintball pods but perfection cannot happen by viewing or watching only but also doing many attempts and making mistakes from which one learns. It will help you save time, avoid wastage, and also avoid unnecessary noise. Remember to check whether your paint pod is faulty especially the lid to ensure no paint wastage at long run.lf it is faulty just do not use it. Additionally, you do not need safety wears like gloves, goggles, gumboots, or aprons but you will need to wash your hands after this exercise to avoid ingesting poisonous substances.